Adams County Sheriff’s Department – CO.
Albuquerque Police Department – N.M.
Arapahoe County Sheriff’s Department – CO.
Arizona Department of Public Safety – AZ. Arizona State University Police Department – AZ. Arvada Police Department – CO.
Narcotics Task Force – Seattle, WA. Firearms Task Force – Las Vegas, NV. Auburn Police Department – WA. Baltimore Police Department – MD. Benton County Sheriff’s Office – OR. Bernalillo County Sheriff’s Department – NM. Beaverton Police Department – OR. Bexar County Sheriff’s Department – TX. Boise Police Department – ID. Bonney Lake Police Department – WA. Bosque Farms Police Department – NM. Boulder City Police Department – NV. BNSF Railroad Police – CA. Bremerton Police Department – WA. Broward County Sheriff’s Department – FL. Bureau of Indian Affairs – AZ. Chicago Police Department – IL. Border Division I.S.U & Mexico Liaison UnitCentral L.A.
Clark County School District Police – NV. Clark County Sheriff’s Office – WA. Centralia Police Department. – WA. Classop County Sheriff’s Office -OR. Clear Creek County Sheriff’s Office – CO.
Clovis Police Department. – NM. Colorado State Parks Police – CO.
Colorado State Patrol – CO.
Commerce City P.D. – CO.
Concord Police Department – NH. Corvallis Police Department – OR. Department of Corrections – AZ. Department of Economic Security – AZ. Department of Juvenile Corrections – AZ. Department of Liquor License Control – AZ. Denver Police Department – CO.
Douglas County Sheriff’s Office – CO.
El Paso County Sheriff’s Office – CO.
El Mirage P.D. – AZ. Englewood Police Department – CO.
Espanola Police Department – NM. Eugene Police Department – OR. Everett Police Department – WA. Fairview Police Department – OR. City of Federal Way P.D. – WA. Fife Police Department – WA. Flagstaff Police Department – AZ. Fort Bend County Sheriff’s Department – TX. Fort Collins Police Department – CO.
Fountain Police Department – CO.
Gallup Police Department – NM. 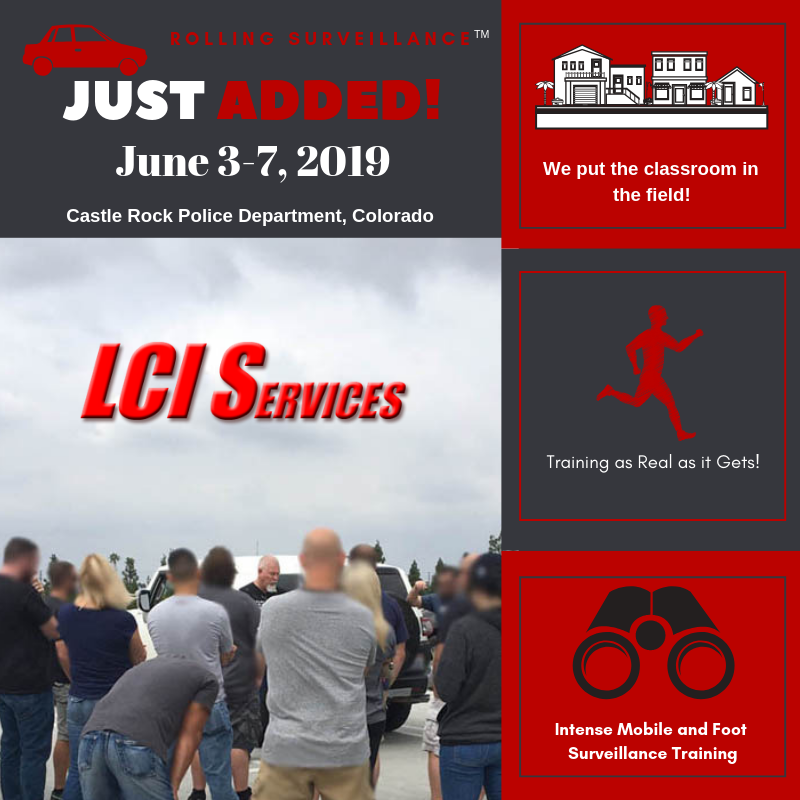 Gilpin County Sheriff’s Office – CO.
Grand Junction Police Department – CO.
Gresham Police Department – OR. Hagerman Department of Public Safety – NM. Hagerstown Police Department – MD. Harford County Sheriff’s Office – MD. Harris County Sheriff’s Department – TX. Hawaii Police Department – HI. Hawaii Sheriffs Department – HI. Hawaii Division of Motor Vehicles – HI. Hillsboro Police Department – OR. Honolulu Police Department – HI. Houston Police Department – TX. Hurlock Police Department – MD. Illinois State Police – IL. Jefferson County Sheriff’s Department – CO.
Johnston Police Department – CO.
Kauai Police Department – HI. Kent Police Department – WA. King County Prosecutors Office – WA. Lakewood Police Department – WA. Larimer County Sheriff’s Office – CO.
Las Cruces Police Department – NM. Las Vegas Constables Office – NV. Las Vegas Metro Police Department – NV. Lone Tree P.D. – CO.
Los Alamos Police Department – NM. Los Lunas Police Department – NM. Loveland Police Department – CO.
Luna County Sheriff’s Office – NM. Lynwood Police Department – WA. Maricopa County Sheriff’s Department – AZ. Metro Transit Authority D.P.S. – TX. Montgomery County Sheriff’s Office – MD. Multnomah County Sheriff’s Office – OR. Nashville Metropolitan Police Department – TN. Nevada Department of Public Safety – NV. North Las Vegas P.D. – NV. Office of Inspector General – AZ. Office of Preparedness & Security – CO.
Office of Superintendent of Insurance – NM. Opalocka Police Department – FL. Orange County Sheriff’s Office – FL. Oregon State Police – OR. Paradise Valley P.D. – AZ. Pierce County Sheriff’s Office – WA. Port of Portland Police Department – OR. Portales Police Department – NM. Pueblo County Sheriff’s Office – CO.
Puyallup Police Department – WA. Redmond Police Department – OR. Redmond Police Department – WA. Renton Police Department – WA. Rio Rancho Police Department – NM. Roswell Police Department – NM. Ruidoso Police Department – NM. Salt River Police Department – AZ. Santa Fe County Sheriff’s Office – NM. Santa Fe P.D. – NM. San Bernardino Unified School District P.D. Scottsdale Police Department – AZ. Seattle Police Department – WA. Shelton Police Department – WA. Sierra County Sheriff’s Office – NM. Snohomish County Sheriff’s Department – WA. Socorro Police Department – NM. Sunland Park Police Department – NM. Takoma Park Police Department – MD. Tacoma Police Department – WA. Texas Department of Public Safety – TX. Thornton Police Department – CO.
Thurston County Sheriff’s Office – WA. Troutdale Police Department – OR. Tucson Police Department – AZ. Washington County Sheriff’s Office – MD. Washington County Sheriff’s Office – OR. Washington State Patrol – WA. Weld County Sheriff’s Office – CO. Wheat Ridge P.D. – CO.
Yuma Police Department – AZ. Air Force OSI – JTTF – Quantico, VA.
Albuquerque C.A.T.T. – County Auto Theft Task Force – N.M.
Arizona Auto Theft Task Force – AZ. B.A.T.T.L.E. Task Force – Beat Auto Theft Through Law Enforcement – IL. Bexar County Auto Theft Task Force – TX. B.N.E.T. – Blythe Narcotics Enforcement Team – CA. CAL-MMET – California Multi-Jurisdictional Methamphetamine Enforcement Team -Kern Co.
FRTF Front Range Task Force – Denver, CO.
HIDTA Drug Task Force – Southern CA. D.M.A.T.T. – Denver Metro Auto Theft Task Force – CO.
East Metro Gang Task Force – Gresham. OR. East Multi Gang Team – OR. E.M.A.T.T. – East Metro Auto Theft Task Force – Denver, CO.
Street Crimes Task Force – Southern CA. G.I.I.T.E.M. – Gang & Immigration Intelligence Team Enforcement Mission – AZ. G.M.A.T. – Greater Metropolitan Auto Theft Task Force – IL. Gulf Coast Task Force – TX. Harford County Narcotics Task Force – MD. Harris County Auto Theft Task Force – TX. Health Care Fraud Task Force – UT. Houston Auto Theft Task Force – TX. I.I.M.P.A.C.T. – Illegal Immigration Prevention Apprehension Co-Op Team – AZ. King County Regional Auto Theft Task Force – WA. Maricopa County Sheriff’s Human Smuggling Unit – AZ. M.A.T.T. Metro Auto Theft Task Force – CO.
M.G.T.F. – Metro Gang Task Force – Denver, CO.
Middle Rio Grande Task Force – NM. New Mexico Multi-Agency Auto Theft Task Force – NM. Oregon HIDTA Task Force – OR. Pierce County Auto Theft Task Force – WA. Pittsburgh Auto Theft Task Force – PA.
R.A.T.T.L.E.R. Auto Theft Task Force – AZ. Re.A.C.T. – Regional Auto Crimes Team – TX. Rogue Area Drug Enforcement Team – OR. South Coast Interstate Narcotics Agency – OR. U.S. Marshals Fugitive Task Force – HI. U.S. Marshals Fugitive Task Force – Baltimore, MD. U.S. Marshals Fugitive Task Force – Glendale, CA. U.S. Marshals Task Force – NM. VIPER Task Force – NV. WESTNET – West Narcotics Enforcement Team Task Force – WA. West San Gabriel Anti-Crime Task Force – CA. Coast National Insurance/Bristolwest Insurance Group – CA. Golden Eagle Insurance Corp. – CA. Geico Insurance Co. – CA. NICB – National Insurance Crime Bureau – CA. NV. Office of Insurance Commissioner – WA. Progressive Insurance Co. – CA. Safeco Insurance Co. – CA. TX. NW Casualty Claims Investigation Bureau – OR. Nu-Way Security and Investigation Services, Inc.
Starside Security & Investigations, Inc.
Washington Association of Sheriff’s and Chiefs of Police – WA.